Ben Fish looks back on British road races which no longer take place and also recaps on his racing in July. It’s a shame that so many great races have fallen by the wayside, whether it be through lack of sponsorship, support from local authorities, or even shifts in trends – by which I mean less interest in imperial distances, such as four miles, five miles and even 10 miles, as the 5k and 10k popularity is at an all-time high. 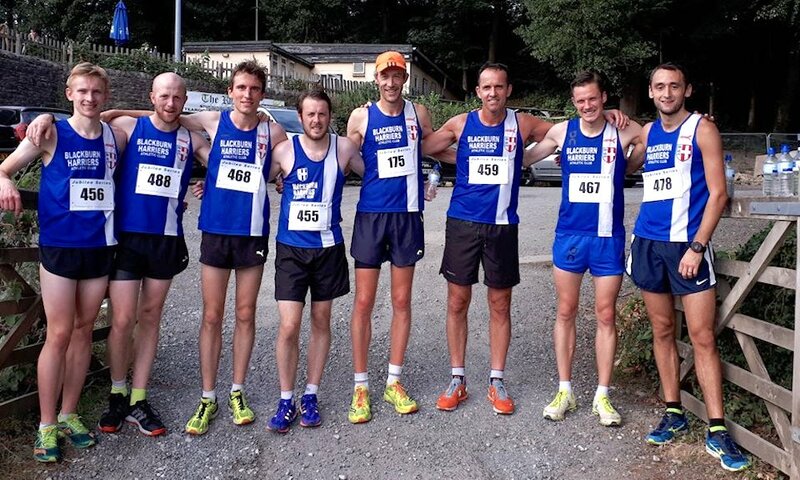 Chorley 4 – This was a terrific local race that I often did along with the Horwich Jubilee Series, it was put on the Wednesday prior, so that it wouldn’t clash and encouraged local runners to do both, along with the Haigh Hall series in Wigan (which is still in existence). It was a two-lap course that was quite flat. All the top runners in the area turned out and you often needed to run at least 19:30 to win, I ran my PB here in 2006 with 18:57. I think the race folded in 2008 due to issues and costs with having to close a busy A-road. I’ve often thought there would be enough demand to bring this race back, albeit with higher entry fee and perhaps just hosting one race in the summer. 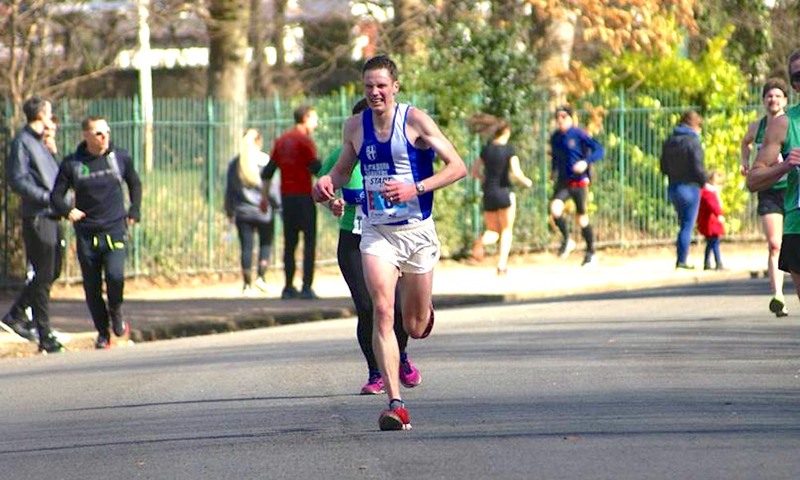 Sale 10 – This was held at Wythenshawe and was a four-lap circuit around the outside of the park, not as dull as it sounds and the quality of runners more than made up for it. It was pan flat and some of the fastest 10-mile times in the country were set on this course. Sub 49 minutes was the norm to win this race, I think the last race was 2011. Unlike Chorley, I wouldn’t have thought a road closure would be necessary? 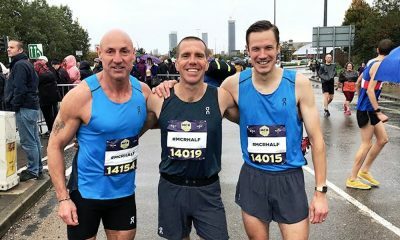 Manchester to Blackpool Road Relay – I only did this event once, back in 2000, which I think was the last one, what an event! I think it’s pretty obvious that to bring this back would take some serious undertaking, but wouldn’t it be great if this could act as a Northern Relay event one day? We can but dream! 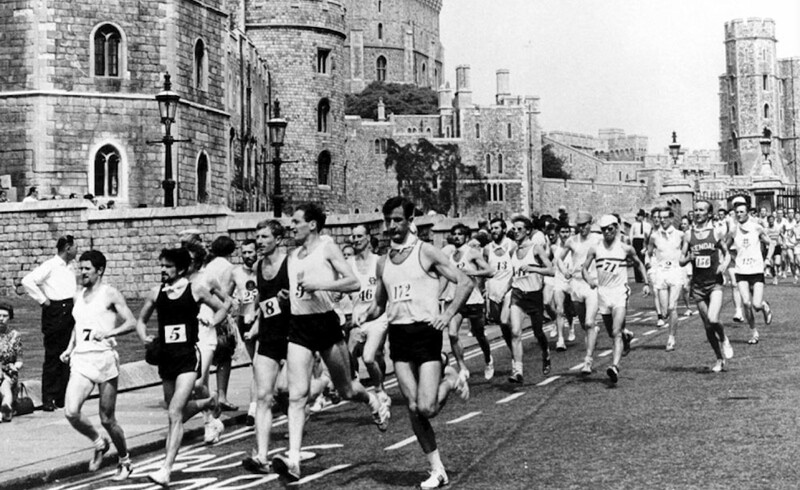 London Polytechnic Marathon – For me, this is the real London Marathon and was one of the major marathons on the world scene from the 1940s – 1970s. It’s popularity faded through the 1980s and eventually ceased in the mid 1990s. Some of the greatest marathoners of all time graced this course; Jim Peters, Buddy Edelen, Ron Hill, Jim Alder etc… too many to mention. London to Brighton Road Race – I know there’s a trail version still in existence, but in its heyday, the road version was a premier ultra race – ‘almost’ as prestigious as the famous Comrades race. Where as South Africa are proud of their heritage with their event, we’ve just let ours slide by the wayside. Since its demise over a decade ago, there have been some attempts to revive it. I really think of all races to bring back in this country, this one should be top priority, such a waste of a prestigious event. Morpeth to Newcastle – Another classic and one of the earliest annual road races in England, dating way back to the early 1900’s. It was an unusual distance, that was originally 13 ¾ miles and had some alterations over the years. I suppose the rise in half marathons marked the beginning of the end for this race which was last held in the mid 2000s. The event made a return a couple of years ago, but as a marathon event, so I’m not sure that counts. In my view, it would need to retain its quirky distance and with such a proud heritage, why shouldn’t it? 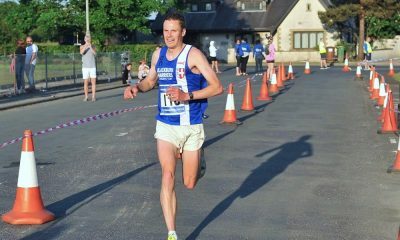 July has been a fairly quiet month on the racing front and started off with a solid run at the Alderley Edge Bypass 10k. It was a close battle against Stuart Hawkes, who’s been in fine form recently. We both reached halfway in around 15:45 and in the second half I managed to pull away to win by about 30 seconds in 31:49. It’s a really well organised event, the course is a little undulating, but in cooler conditions, it’s conducive for fast times. 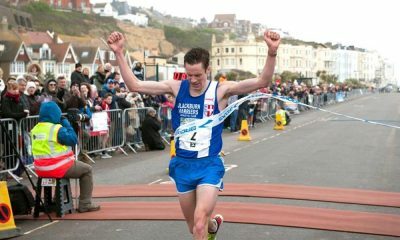 Fellow On-Running athlete, Kirsty Longley posted a fine win in the women’s race and fellow Blackburn Harrier, Ben Costello finished well up in fourth place. I’ve started to feel like I’m getting that sharpness back in my training, recent track sessions such as 12x 500m (1 min rec) averaging 83’s and 2x 10x 300m with (1 min rec) averaging 47/48’s, indicate that I’m going well by my own humble standards – though I don’t think it will have middle distance runners quaking in their boots! On the 18th July, I competed in the Horwich Jubilee 5 miler at Rivington. This was the first road race I won 17 years ago and one I’ve run on a regular basis since 1999, it’s safe to say it’s one of my favourites! Though I did slightly prefer the older version of the course, which was four-mile and finished on a tough drag up to Rivington Barn. It was quite a humid evening, but cool in contrast to recent weather. I felt good and knew I’d have to be on my mettle as club-mate, Tim Raynes was also running. I decided to run without a watch and just focus on running hard from the start and see how it would go. It soon developed into a two horse race between myself and Tim, with club-mate Jack Hindle a little further back in third. The course consists of two laps, both of which have a substantial hill; after the first climb, I edged ahead of Tim, increasing my lead on the second lap. I knew I was going well as I tackled the second climb without too much distress and I hammered it on the downhill towards the finish. I crossed the line in 25:18, which took another 10 seconds off my old record which I set last year. Tim also broke 26 minutes with Jack finishing well clear in third. It was a good outing for our club, with seven of us finishing in the top 10 and Ben Costello winning the series, after managing two wins and sixth place in the final race. It also marks the 22nd time I have won this race, hopefully there’s a few more left in me yet! I had planned to race at the Trafford Open 3000m on the 24th, but I was unable to get away from work in time for the 6:30pm start. It’s a shame, as I felt I had a sub 8:30 in me, but I’ll have one more opportunity at the end of August. After last year’s progress on the track, it’s a little frustrating that the season has got away from me this year. I might decide to skip a spring marathon and really get stuck into next season from the end of April in 2019. Ben Fish features in the ‘Fast 10: class of 2018’ and over the course of the year will share his running journey. You can read Ben’s previous posts here and further information about the ‘class of 2018’ can be found here.